Department of Electrical Engineering and Department of Electronics & Comm. 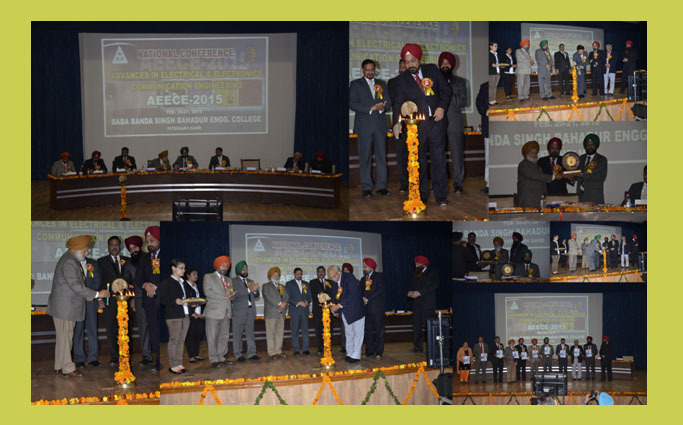 Engineering of Baba Banda Singh Bahadur Engineering College, Fatehgarh Sahib organized a National Conference on “National Conference on Advances in Electrical & Electronics Communication Engineering”, (AEECE-2015). The conference was scheduled on February 20-21, 2015. The objective of the conference was to provide a platform to researchers, practicing engineers, academicians and students to deliberate on latest developments in the field of electrical, electronics and communication engineering. The output of the conference in the form of published papers was provided.The conference was bestowed with the presence of distinguished academia along with experts from the industrial organization such as PSPCL, IETE, DRDO and BSNL etc. An exhibition was also planned along with the two-day conference where the participants got an opportunity to interact with people from renowned industries. Few such agencies such as Signals and Air Defense Artillery Department, PEDA, PSPCL etc. had given their consent to demonstrate their engineering capabilities.Students presented their papers in form of Poster Presentation. 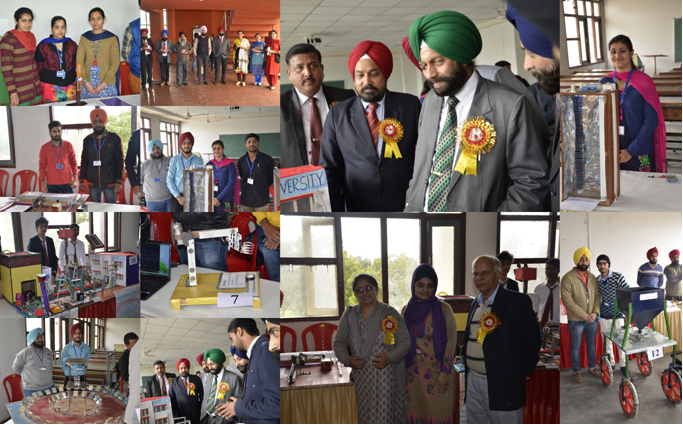 Students displayed their projects along with people from renowned industries. and won prizes in the events. Best paper and Best project awards in student’s category were also presented for encouraging students.